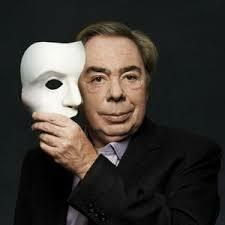 British composer Andrew Lloyd Webber has created a global empire unrivaled in the history of musical theater. In 1983, he was the first composer to have three musicals appear simultaneously on Broadway and in London’s West End, a feat he duplicated five years later. Mr. Webber has collected a variety of honors including knighthood, seven Tony Awards, three Grammy Awards, seven Olivier Awards, a Golden Globe, an Oscar and the Kennedy Center Honors Award. His ninth musical, The Phantom of the Opera, celebrated its 10,000th Broadway performance in 2012, the first production ever to do so.